If you prefer keyboard to navigate between tabs, the Navigator add-in provides NavigateToNextTab and NavigateToPreviousTab commands. 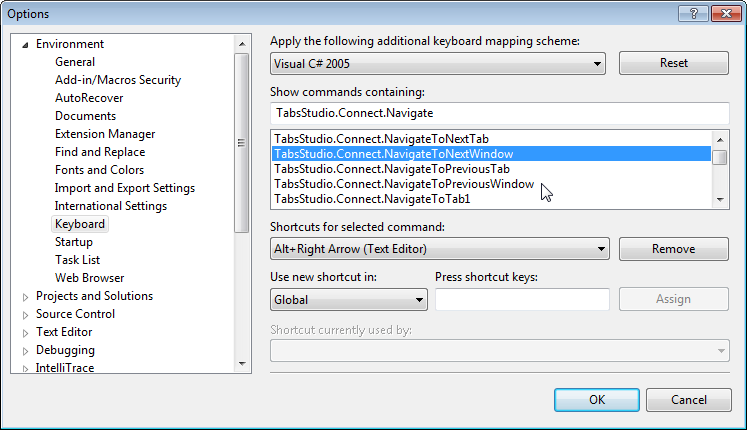 Plus core Tabs Studio provides NextTabExtension and PreviousTabExtension commands to switch between windows in a tab group. Using these commands you can switch to any open document using keyboard, but it requires four keyboard shortcuts.